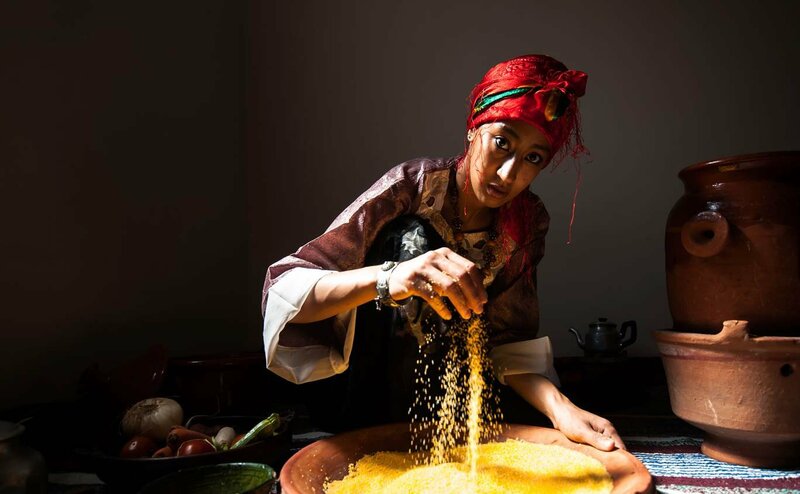 The 6th edition of the exceptional Moments Awards photography competition, a partnership between National Geographic Abu Dhabi and Almarai, brought forth a very interesting theme: “Food and the traditions of eating in the Arab World”. A direct manifestation of Stories from our World, one of the channel’s core topics covering the greater Middl East, the theme aims at capturing the essence of food which is a major aspect of the region’s culture and lifestyle. The overall standards of the highly competitive entries demonstrated a very high level of artistry and creativity, taking this 6th edition one step further than previous ones. 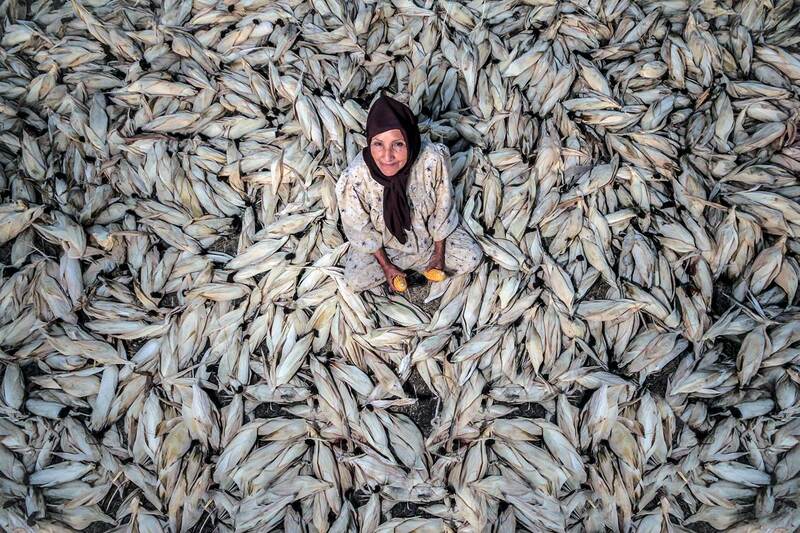 The first prize was awarded to Moroccan Mohamed Benmokhtar for his captivating entry depicting a newly wed young Moroccan woman preparing a traditional couscous for her husband’s family for the first time, to prove her cooking skills. The dramatic composition of the shot captured the essence of the moment so well it catapulted the photo to first place, earning the winner a trip to Japan and photographic equipment worth US Dollars 7,500. 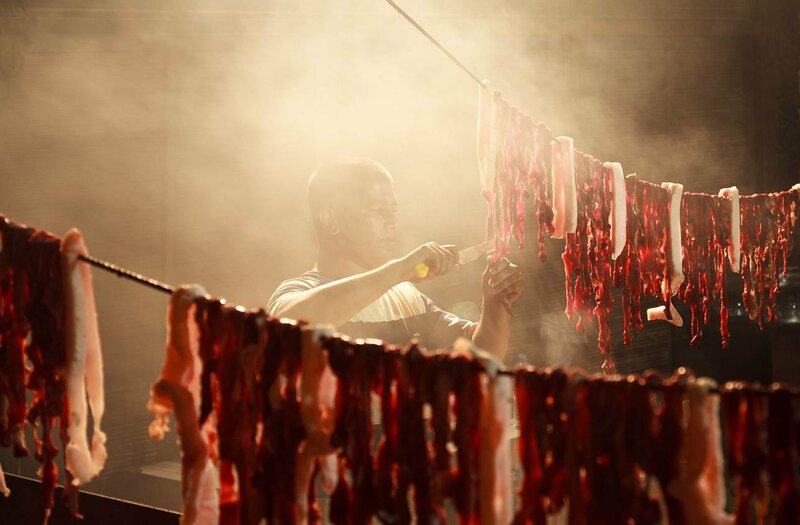 Omani Mohamed Albadaai took second place for a very graphic shot of the making of maqadid, a traditional meat delicacy made by artisans in the Dhofar region. His prize included photographic equipment worth US Dollars 5,000. In third place, Mohamad Nasr from Egypt entered an uplifting moment in the life of an old, peasant woman performing an immemorial culinary custom: the processing of corn cobs. This pleasant, sweet image won Nasr photographic equipment worth US Dollars 2,500, and quite frankly, put a smile on our faces. The Moments Awards, through the lens of budding local artists, have repeatedly highlighted the more intimate, warm and emotional fibre the region is weaved from; its traditions, culture, people at leisure, at work, or simply in the context of their daily life. We’re looking forward to even more extraordinary pictures next year! Previous Post TAG Heuer, David Guetta, Martin Garrix And The New Aquaracer!